Sensei Spivack began his training at the Tri Hampton YMCA under Sensei Alan Shea (now retired) in 1982. Sensei Spivack earned the rank of Shodan (1st Degree Black Belt) in 1988 with the Shotokan Karate Association (SKA), Nidan (2nd Degree) in 2000, Sandan (3rd Degree) in 2006, Yodan (4th Degree) in 2010 and Godan (5th Degree) on May 7, 2011. In 2012, Sensei Spivack joined the AJKA-I and obtained the rank of Sandan (3rd Degree) in 2015. In 2007, Sensei Spivack started the Warwick Shotokan Karate Club and in 2017 started the Northampton Shotokan Karate Club. 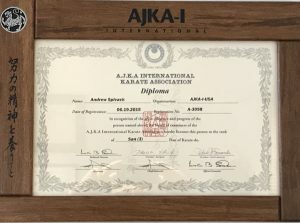 Sensei Spivack is currently a Class “E” Instructor and is working towards his Class “D” License from the AJKA-I. 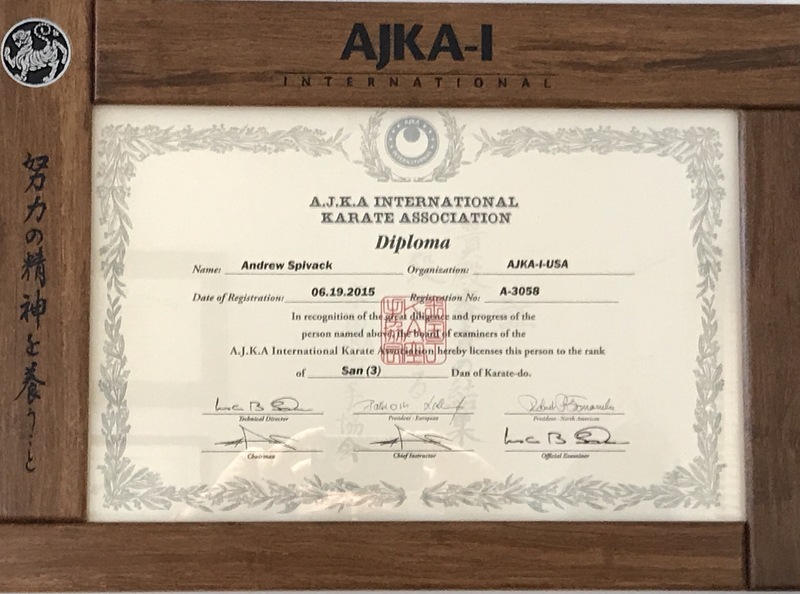 Andrew has been fortunate enough to train with many great Shotokan Masters that have provided him with the knowledge that he now offers to his students. In addition to teaching karate, Sensei Spivack earned a B.S. in Finance and Accounting at the Pennsylvania State University, a Juris Doctorate at Widener University School of Law, and a LL.M in Taxation at Villanova School of Law. His career has included In House counsel for VerticalNet, Deputy Attorney General for the State of New Jersey in their Tax and Estates Department, and currently a Partner at the law firm of Phelan Hallinan, Diamond & Jones, LLP. Andrew resides in Jamison, PA with his wife, son, and daughter. Kyle started taking Shotokan karate at the Central Bucks Family YMCA with Sensei Spivack in 2007. 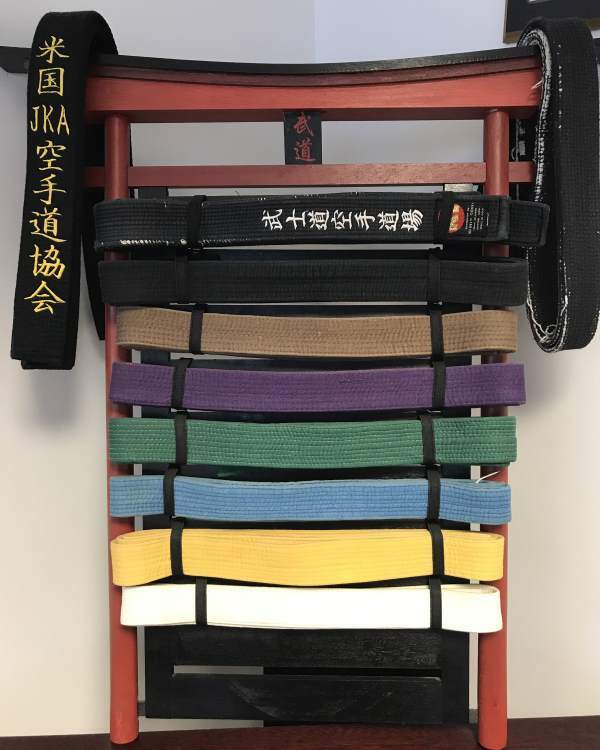 Kyle obtained his Sho Dan (Black Belt) in 2017. Kyle is currently attending Bucks County Community College and is majoring in Industrial Design. Kyle likes to bike, take pictures and is also an Eagle Scout. Sarah started taking Shotokan karate at the Central Bucks Family YMCA with Sensei Spivack in 2007. Sarah obtained her Sho Dan (Black Belt) in 2016. Sarah is currently attending Moore College of Art and Design and is majoring in Fine Arts. Sarah has done volunteering at the Doylestown Library and other volunteering through Central Buck’s East National Honor Society and NAHS. Sarah recently won a Congressional Award for one of her paintings at the Bucks County Art Show.